Teacher portfolios have been around for years. 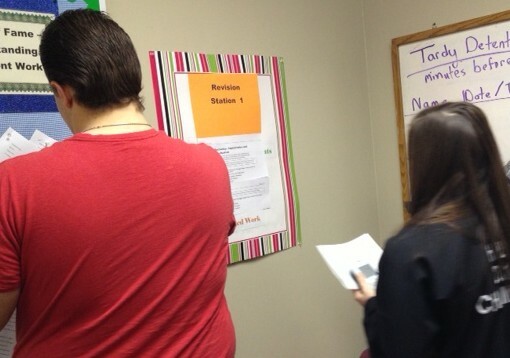 Pre-service teachers use them to gain admission to graduate school and apply for a position. Experienced teachers may use them as candidates for Teacher of the Year, or, increasingly, to demonstrate teaching effectiveness for evaluations by administrators. It is unrealistic to expect to create a polished teacher portfolio in an hour or two. Instead, consider it a work in progress, like a scrapbook of your career. Most experienced teachers already have a resume prepared, so we’ll start with that first. 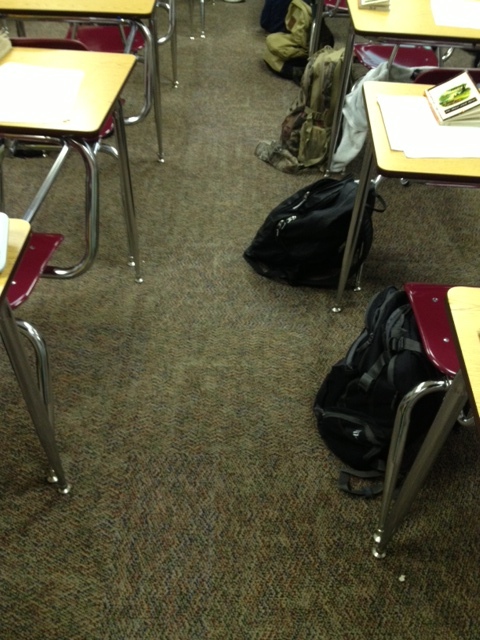 Second, we’ll add a page on which you can place artifacts to showcase your teaching abilities. Finally, we’ll set your privacy settings and I’ll share some resources if you want to expand your portfolio. There are innumerable web sites that offer free or low-cost possibilities for teacher portfolios. Google Sites is a popular choice because it is free, user-friendly, and, once you’ve mastered the basics of setting up one Google Site, you can make sites for many other purposes, whether for classroom or personal use. Below, I’ll walk you through how to get started. First, log into Google.com with your Gmail account. Then go to sites.google.com or (you’re logged in if your Gmail is at upper right corner), type “Google sites” in the Google.com search box. Name your site (this will be your domain name and you can’t change it later, so make sure you’ll be happy with the name for years) and select your theme (color, font, design scheme). You can change your theme later if you wish. After you type in the verification code at the bottom of the screen, select “Create Site” and the information you just put in will pop up as a basic website template. Name your site (be careful – you can’t change it later). Type the verification code to prove you’re human. When you do, it allows you to type in the Title bar and in the Body bar. The format tab allows you to change the appearance of font and alignment of font. The layout tab allows you to add columns to the body of your site. I recommend starting with a resume page because it’s easy to do if you have a resume already typed and saved. To make the resume page, choose one of your new site’s pre-made pages or follow the directions below to create a new one. Click the edit button, then, in the title bar, type whatever you wish to name your resume page, such as Resume, My Resume, or Cleatus T. Justice’s Resume. Then open your resume document. Select all of the resume text and copy it (control-C on the keyboard or right-click to select “copy” with your mouse). Paste it (control-V on the keyboard or right-click with your mouse and choose “paste”) into the body section of your resume page. You will probably need to adjust the font and formatting so that it is easily readable. Don’t forget to click “Save” at the top when you’re finished or you’ll lose your changes! To create a new page, click “create page.” There are several page options, but the easiest to work with is “web page.” You will need to create a page name (which becomes part of its URL) and then choose whether or not you want the page to be directly under the main site (top level) or if you want it to be a sub-page of a page of your site. If the part of the site that you want your page to be under is not the default option, select it by clicking “choose another location.” Once you have chosen the directory option, click “create page”. Then edit it. The second page I recommend experienced teachers create is for artifacts that demonstrate effective teaching. After you click “create page”, choose “file cabinet”. Making an artifacts page using a file cabinet page template. A sample artifacts page ready for examples to be uploaded. Once you’ve made your file cabinet, you’ll want to set up some organization. 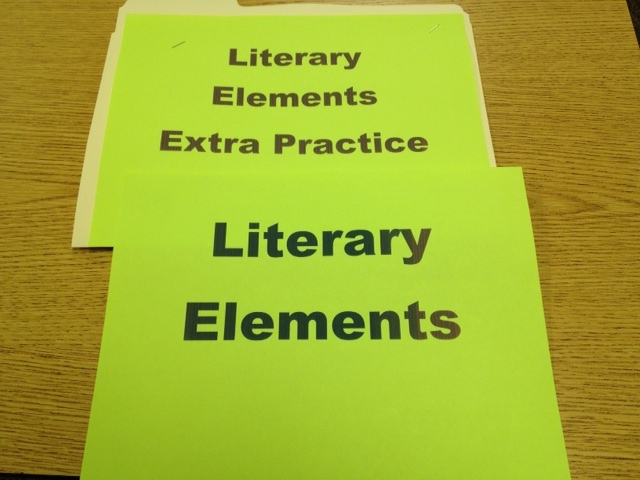 I made a folder for each of the items evaluated in our district’s teacher evaluation rubric. 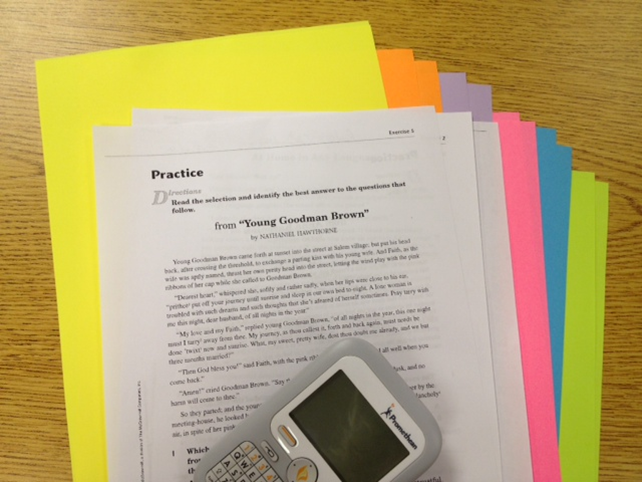 An administrator can’t possibly observe each item in one short class period, so it is helpful to provide him or her with uploaded examples of each skill he or she is looking for. If you don’t want your new partial portfolio out there on the web for public viewing, the blue Share button on your Google Site (top right corner) comes in handy. Click the “share” button. A window showing the “Public on the Web” setting and you as the owner will appear. Next to the words “anyone on the web can find and view”, click “Change”. You can then change your privacy settings as you see fit and save. When you’re ready to share your portfolio with others, go back to these settings and change them as needed. Changing your sharing options is easy! The three options for who can see your site. If you’re new to making a website or portfolio, pace yourself! Don’t expect to have an extensive portfolio overnight. Prioritize which aspects of your online portfolio are the most important to complete first, and set SMART (Specific, Measureable, Attainable, Realistic, Timely) goals for yourself. A sample goal for an experienced teacher new to technology might be to select and upload one good example to the artifact page on your site at the end of each school day. Teacher portfolios should be considered works in progress. Expect to modify your portfolio as your needs change. If you’d like to add more visually interesting or multimedia elements to your portfolio, browse the sample portfolios linked below for ideas and check out the list of other Google Sites tools you can use on your portfolio site. The table tab allows you to create and manage a table in the body of your site. Use the Insert tab to add pictures, presentations, word documents, spread sheets, slide shows and links to other sites. You can add images manually, if you wish, by uploading them to the site. However, make sure you only upload what photos you intend to use for the page you are currently editing. You can manually add files and documents by attaching them to the website under “attachments” at the bottom of the page. Again, just like the pictures, you must only upload what you want on that particular page and repeat the process for any new pages. To fully take advantage of these you may wish to use Google Drive. When using Google Drive, you can upload spreadsheets, presentations, and documents for other people to view and to incorporate into your website. You can also include “gadgets” such as news tickers, mp3 players, feeds, weather, etc. You can see the list by selecting “more gadgets” at the end of the Insert tab. My first blog in this series introduced Google Calendar for the Classroom, so if you missed it, check it out first. Using online calendars is all about getting one’s various events, appointments and schedules in sync. 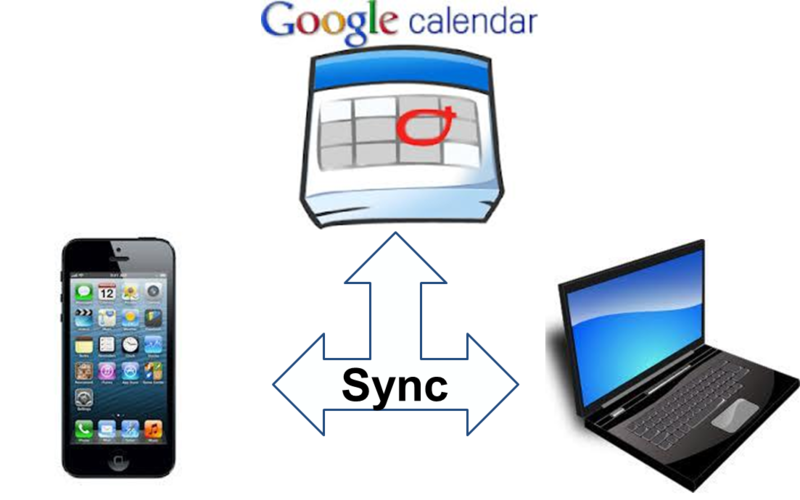 Syncing paper calendars, such as your desk calendar at work (which may have athletics practices, sectional practices, IEP meetings, lab schedules, faculty meetings, duty, conferences, etc), family appointments, and volunteering committments, just to name a few possibilities, can be nightmarish to keep up with! If you don’t sync them, you may schedule a personal appointment on top of an after school event, which results in stress and chaos. Google Calendar can put all of your calendars together in one central location for just you or multiple people. Just as your ITunes music or Kindle books can sync across devices, your classroom calendar can too. Today I’ll show you how to embed a classroom calendar into your Teacher Site, how to subscribe to multiple calendars, and share some ideas for using Google Calendar to collaborate with colleagues. If you already have started putting lesson plans, due dates, and objectives in your classroom Google Calendar, you should embed it on your classroom website. Or, if you’re an activity sponsor, scheduler of school facilities (like the auditorium or gym), or department head, you may want to make a calendar for that group and post it on a webpage accessible by faculty members. This will allow everyone to see the schedule as soon as you add to or update it. You only have to embed it once. My husband and I sync personal Google Calendars. This allows us to see when we’re free or busy. For example, if I want to schedule a parent-teacher conference for one of our own children, I can check his schedule to see if he’s available to attend too. Even those who aren’t experienced with online calendars can benefit from a collaborative approach. A few months ago, a high school athletic coach asked me about using Google Calendar for his practice schedule. He was proficient in using online calendars with his smart phone, but had an assistant coach who wasn’t. After our discussion, he concluded that he could set up their athletic team’s practice schedule, along with notifications to remind him about them, on the assistant coach’s smart phone. Depending on how you plan to use the calendar in question, you may want to allow others to subscribe to it or you may want to share it with certain people. Subscribing means that others can overlay your calendar on their own calendar, but they can’t add or change events. Subscribing works well for students who want to know what’s going on in the classroom (or at practice or rehearsal) when they’re absent. Like the assistant coach mentioned earlier, they don’t need the ability to change the calendar – just view it easily. Sharing a calendar typically means that you’re giving or sharing control with others. For instance, If your 300-member high school choir has section leaders, you may want give those students the ability to add sectional rehearsals to the main choir rehearsal calendar. Sharing also has unlimited collaborative uses. Here is but one example: if the teachers and the librarian both currently write in the library’s printed calendar to schedule class work in the library, that calendar could be converted to online use. The librarian would be the “owner” of the calendar, but would be able to share the calendar with teachers, who could add the times and dates their classes will visit the library without ever having to leave their classrooms. The iCal subscription button on my district’s calendar page. Before you try to set up your calendar so that others can subscribe to it, you’ll want to make sure you know how to subscribe to a calendar first. If your school district has a calendar you can subscribe to in an ical format, subscribe to it. If not, a universally useful one to try is Weather Underground’s ical. Here’s a link to instructions on how to do the latter. Once you’ve succeeded in subscribing to one or more other calendars, now it’s time to make sure students, colleagues, or parents, depending on your calendar’s purpose, can subscribe to your calendar. Luckily, Google provides helpful instructions detailing various sharing/subscribing options, so I don’t have to re-invent the wheel. Check out their step-by-step instructions here. If the numerous benefits motivate you to share your Google Calendar with others, you can make it happen with some trial and error. My best advice is to make sure you try out everything you want others to do (such as subscribe to your calendar), because you may have to help them (or provide directions, or links to directions, with your calendar). Let me know how it goes! I’d love to hear how others are using their calendars! Edmodo and Common Sense Media offer free Digital Citizenship curriculum. As a high school teacher, I’ve witnessed many parents try to monitor their children’s internet usage, with varying levels of success. I’ve also noticed that many school districts choose to censor or block what sites students can access. However, my observations of students’ online behavior tell me that most of us fall short in teaching students what comprises smart, safe digital citizenship. Particularly for secondary and post-secondary school students, removing all computer privileges is a consequence that interferes with learning. Anyone who’s taken more than a passing glance at the Common Core standards knows that students will be using technology extensively in the coming years, though many are required to do so already. Educators and parents often first provide “scaffolding”, or extra support, for students to support their learning. Gradually, the assistance is removed as students gain confidence in using a new skill on their own, such as when training wheels are removed from a child’s bike. This same graduated support should be applied to learning digital citizenship skills, yet few parents and schools seem to have a plan for such support. Educators and parents often act simply as gatekeepers to the internet. While reports that most parents monitor their children’s Facebook activity are encouraging, the overwhelming evidence in my classroom and home, at least, is that they aren’t effective in helping kids learn to be good digital citizens. Instead of thinking they’ve fulfilled their responsibilities by limiting or removing access, school districts and families should consider a graduated approach. We shouldn’t allow young children unsupported internet access any more than we would give a two-year-old a large bike without training wheels for her first spin around the driveway. 1. Find out how the kids in question already use the internet. 2. What is the goal or objective? Finish the statement: by age _____, children should be able to ______________. 3. What online habits do children in our school/family need to practice regularly to be safe and avoid compromising their future goals online? 4. What can we do to support students as they practice these skills until they become habits and how/when should we gradually remove those supports? 5. Do we as parents and educators model and discuss these habits? 6. How can different grade levels (or, for parents, family sites, such as grandma’s or uncle’s house) our efforts to make sure that support is gradually decreased so that by age eighteen, students will be independent digital citizens? 7. 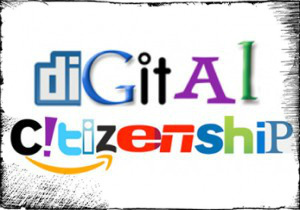 Check out sites like Digital Citizenship.net to help generate ideas. The fact is, nearly every job either does or will soon require basic online competency. Schools and families can help kids learn the online skills they need in an online environment appropriate for their abilities, or leave them to flounder through and learn the hard way.